Post Zombie Apocalypse at MACC! 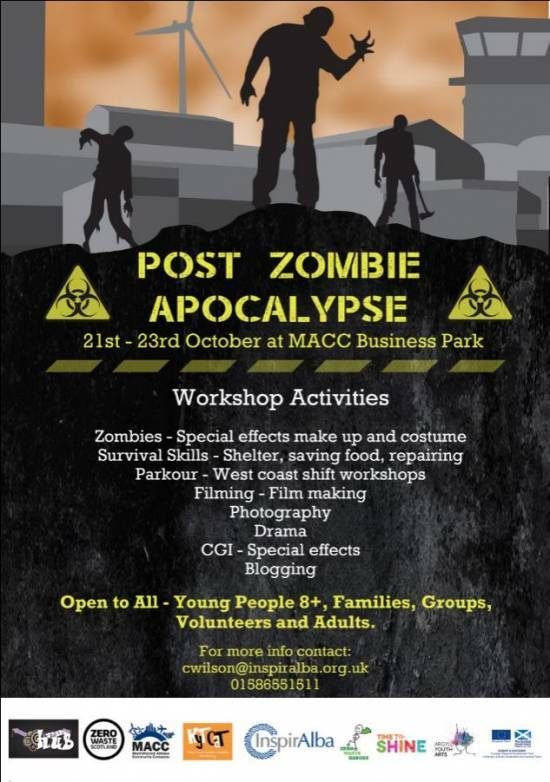 A Post Zombie Apocalypse is taking place at MACC Business Park from 21st to 23rd October. Sounds like a lot of fun! See poster for more information.